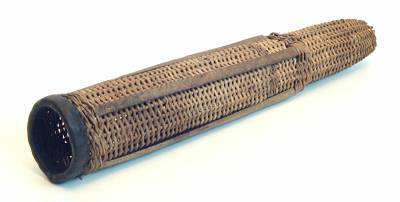 Anybody who’s been following the MERL Projects Blog over the past eighteen months will know that I love all things basket-related. My obsession began three years ago when I was writing my dissertation about craft as heritage, and needed to choose one craft to use as a case study. I’ve always been fascinated by baskets and how they are constructed so it was an easy decision. I interviewed several basketmakers and watched them at work in their studios; a few months later I went on weekend course and made two baskets; and then I was then lucky enough to get a job at MERL, where I’ve been able to bask in baskets! Basketry and Beyond studying MERL’s collection of baskets from the south west. MERL has one of the most significant basketry collections in the UK, with over 600 baskets, basketwork objects and basketmaking tools. The collection includes baskets for agricultural, industrial, fishing and domestic use, mostly from England but also from other parts of the UK. It also includes over 200 objects from Emily Mullins, a Reading basketmaker, who made numerous baskets specifically for the Museum. The collection was studied in the 1960s by Dorothy Wright, author of The Complete Book of Baskets and Basketry and an authority on baskets. She produced detailed catalogue records for the collection, which are available to view online, and also played an important role in acquiring baskets for the Museum. The basketry collection is one of our most popular and most visited collections at MERL, by basketmakers and non-basketmakers alike – visits since I’ve been here have included Basketry and Beyond researching baskets from the southwest for their festival in May this year, and from the University’s archaeology department to look at fishing baskets. 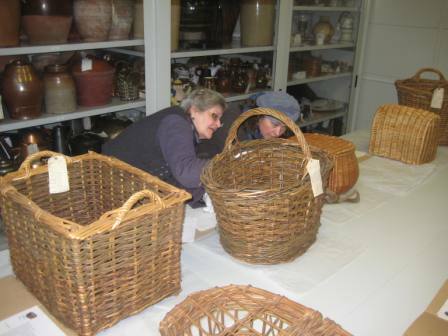 I really enjoy supervising these visits – it’s great to look at the baskets more closely and to have the chance to find out more about them from people who know what they’re talking about, and I always try to feed this information back into the museum catalogue. We’ve also had very exciting basket news recently – MERL has been awarded a grant from the Radcliffe Trust to run a project, Stakeholders, which will see us working closely with basketmakers to explore the collection and commission pieces to fill gaps in the collections. Click here to find out more. However, while we have this amazing collection, there are actually very few baskets currently on display in the galleries. This is something that we hope will change as part of the Our Country Lives re-development, and we hope that the Stakeholders project can help inform this. MERL 2006/54. One of my favourite baskets at MERL, an oak swill basket made by Owen Jones. Since being asked to write this post I’ve been thinking long and hard about my favourite baskets at MERL – there are so many to choose from! 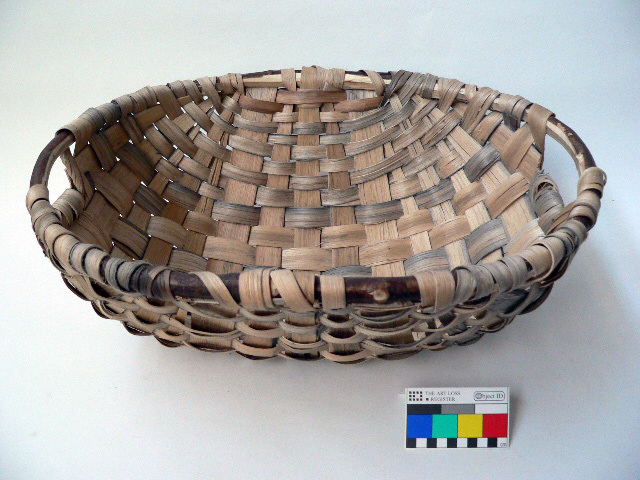 I think one of my favourites has to be the Owen Jones oak swill basket (MERL 2006/54). Owen is the only person in the country making them professionally. He was featured in MERL’s Rural Crafts Take Ten project, and you can watch a video of him making his basket online and in the Museum. I could watch him working for hours and when I had the chance to meet him in May it took me a while to pluck up the courage to speak to him. There are also some really unusual baskets that have to be on my list – we have a basket that was used as a casing for artillery shells in WWI (MERL 90/43), and a pannier basket that was used to drop supplies to the troops from the air during WW2 (MERL 60/449 & 63/70). I hope I’ve managed to convey some of my passion for baskets! When you love baskets, MERL is one of the best places to be – now I just need to find the time to have a few more goes at making baskets myself. MERL 90/43. An artillery shell basket, used to protect shells during the First World War. Apparently my grandfather, Thomas George Mullins, (uncle of the Emily Mullins mentioned) was exempt from service in the First World War, as he made baskets for the shells. I was very interested to see a photo of one one your blog.